The 2017 NFL Scouting Combine has now come and gone for the New Orleans Saints and the rest of the 32 teams in the NFL. While there were many "winners and losers" at the annual event in Indianapolis this past few days among the more well-known names of the players that are at the top of many general managers and scouts' draft boards heading into next month's Draft; there were also some players that not many Saints fans may have been that familiar with heading into the event who had what could be considered "breakout" performances. With that in mind, this evening, here at Saints News Network we're giving our readers a few names to remember when the 2017 NFL Draft rolls around for the Saints later next month in Philadelphia; from Thursday Night, April 29th through Saturday, May 1st. The Saints obviously need an edge pass rusher to play on the opposite side of Cam Jordan, and while players such as Derek Barnett of Tennessee, Solomon Thomas of Stanford, and Taco Charlton of Michigan have all been projected as a possible pick by New Orleans with the #11 overall selection; one player who increased his stock considerably with an outstanding performance at the Scouting Combine was Kansas State University defensive end Jordan Willis. Having just been named Most Outstanding Player for the South Team at the Senior Bowl in late January, Willis continued his red-hot NFL Draft process thus far with another great performance in Indianapolis. Willis wowed NFL scouts in attendance with an impressive showing that included an amazing 6.85 three-cone time, which displayed his agility for a player his size --- 6-foot-4, 255 pounds. It was the best numbers in that drill at the Combine in the past decade.Willis also ran a 40-yard dash time of (4.53), along with a 10-yard split time of 1.54 that further illustrates the speed that he has coming off the edge, something that no doubt the Saints would find appealing. Willis -- who as a senior at Kansas State racked up 52 tackles (17 1/2 for loss) and 11 1/2 sacks during the 2016 season -- was projected as a 3rd to 4th Round pick coming into the Combine, but he undoubtedly increased his status with the great showing. Remember Willis' name, because should the Saints decide to address a different position at #11 overall (like cornerback), Willis could still help them address the need for an edge rusher as early as Round 2. After announcing that veteran Jairus Byrd will not be back with the team in 2017, the Saints now also have another hole on defense to fill at the free safety position; and it just so happens that the player who may have had THE MOST impressive "breakout" performance of the entire Combine plays that very position: University of Connecticut free safety Obi Melifonwu. Melifonwu, whose parents are natives of Nigeria and moved to the United States (Massachusetts) when he was 3 years old, is physically the biggest safety in the entire Draft (6-foot-4, 224 pounds); and after a strong showing at the Senior Bowl, was even more impressive earlier this morning in Indianapolis. Melifonwu did 17 repetitions on the bench press while showing off his chiseled 32.5-inch arms; and then followed that up with a remarkable broad jump of 141 inches (11 feet, 9 inches) --- the second-highest mark in NFL Scouting Combine history. He almost jumped TOO far! Throw in a 4.46 40-yard dash, and it becomes apparent why some teams would consider even using him as a cornerback. Melifonwu fits the mold of the long, strong, and athletic DB that most NFL teams are looking for nowadays, and given his playmaking ability while at UConn, is exactly what the Saints could use to bolster their defensive secondary. 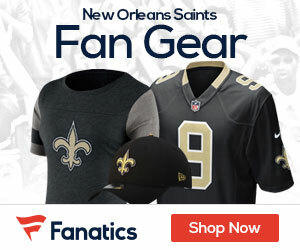 The only problem for New Orleans: Melifonwu is projected to be taken at the end of Round #1, meaning that the only way he ends up a Saint is if they acquire an additional pick in Round 1 by trading away Brandin Cooks; which at this point seems a very likely scenario -- with the Tennessee Titans rumored to be considering giving the Saints their 2nd of two 1st Round picks (#18 overall) for the embattled 4th-year Saints receiver. If that trade does in fact go down, then remember Melifonwu's name. Reddick — a phenomenal athlete who is a converted defensive back that bulked up to play defensive end and has now become perhaps the Draft’s best PURE linebacker (along with his ability to rush the quarterback off the edge, play any of the LB positions on the field, and including his remarkable tally of 21.5 tackles for loss last season alone) — is yet another player who excelled first at the Senior Bowl in late January, and carried over that momentum to Indianapolis. Though he projects as a 3-4 outside linebacker for some teams, Reddick is considered scheme versatile and can be a 4-3 rush end and get this: some teams even view him as a middle linebacker. Regardless of where he lines up, he proved in Mobile at the Senior Bowl that his biggest strength is covering RB's and TE's in pass coverage, something that Saints linebackers certainly have struggled doing for the past several seasons. Reddick shined brightly once again in Indy, looking more like a polished NFL veteran than a soon-to-be NFL rookie; as he easily moved through a variety of drills and position work. Reddick also flashed his speed in the 40, showed agility and athleticism in both the broad and vertical jumps, and displayed his "raw" power in the bench press with a total of 24 bench reps. Hearing #Titans may now be the front runner to trade for #Saints WR Brandin Cooks.